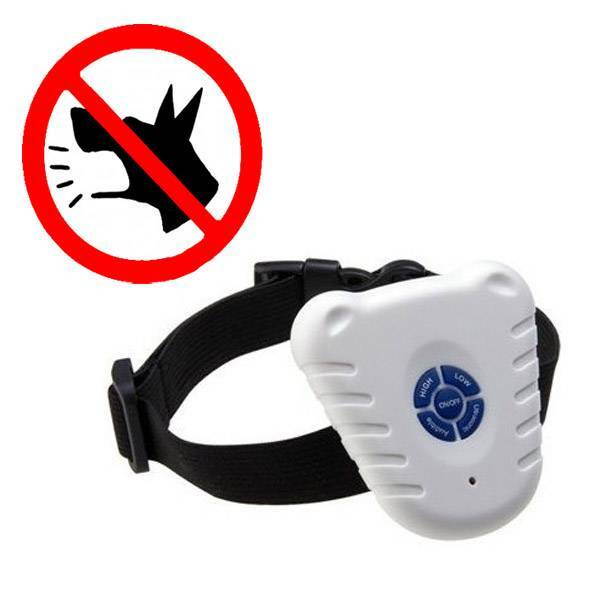 Teach your dog's excessive barking in a safe and friendly way. 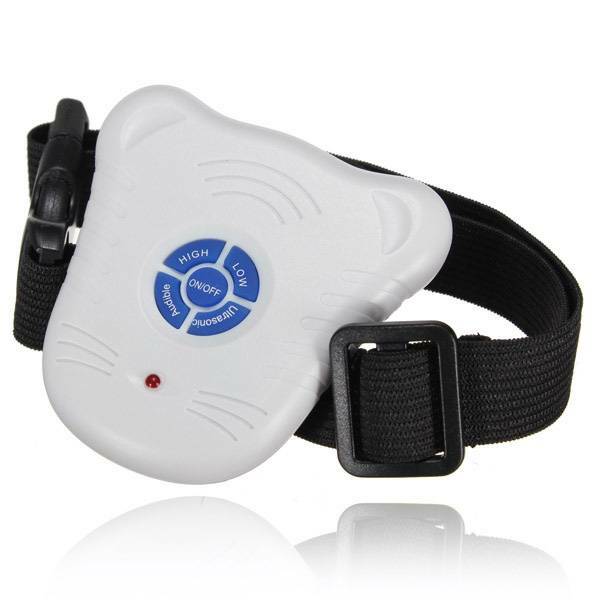 This Ultrasonic Anti Bark Band responds to the vibration of the bark with an echo. 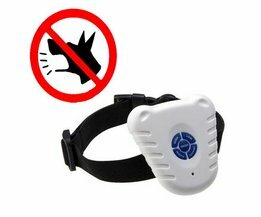 This makes your dog feel uncomfortable and they stop barking. 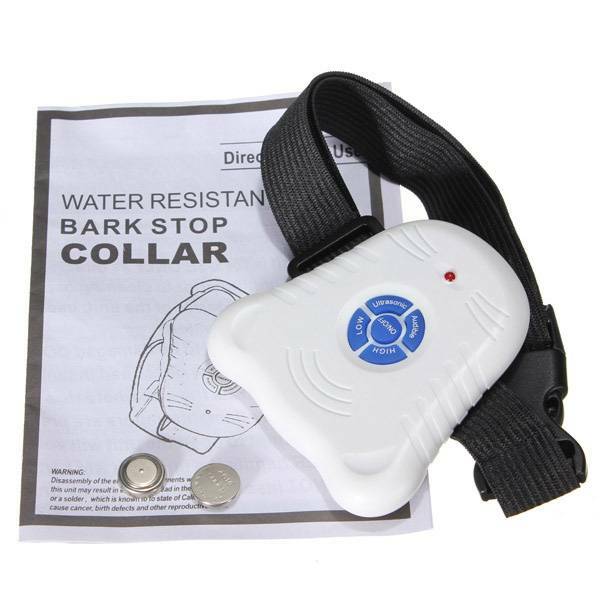 If your dog barks again within 30 seconds, you will hear a more intense tone. Your dog barks a third time, the tone is stronger. After each subsequent baf sounds heard this intense tone. Stop barking for 30 seconds and then your dog barks again, we hear the first tone. 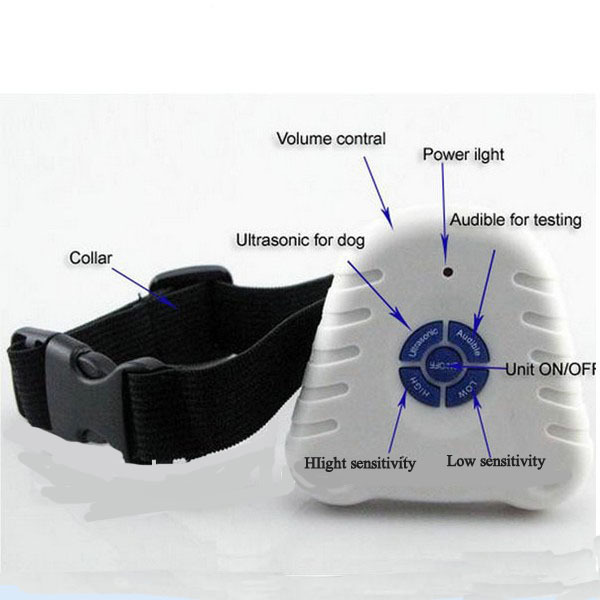 The ultrasonic sound is 100% harmless and only audible to dogs. 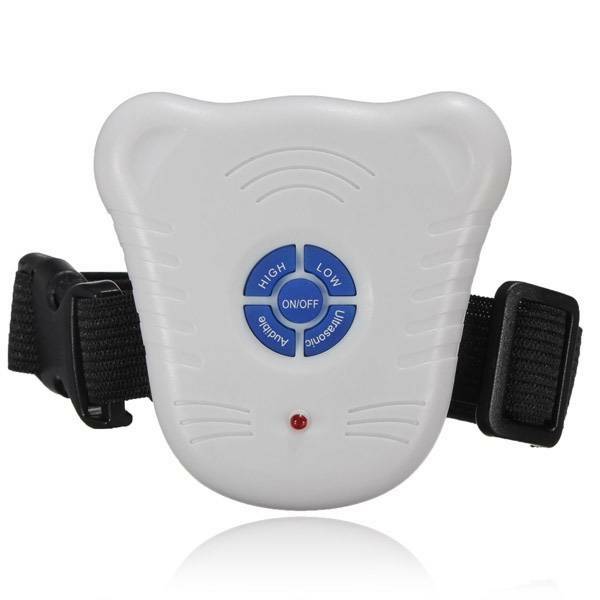 The collar is elasticated with an buckle. 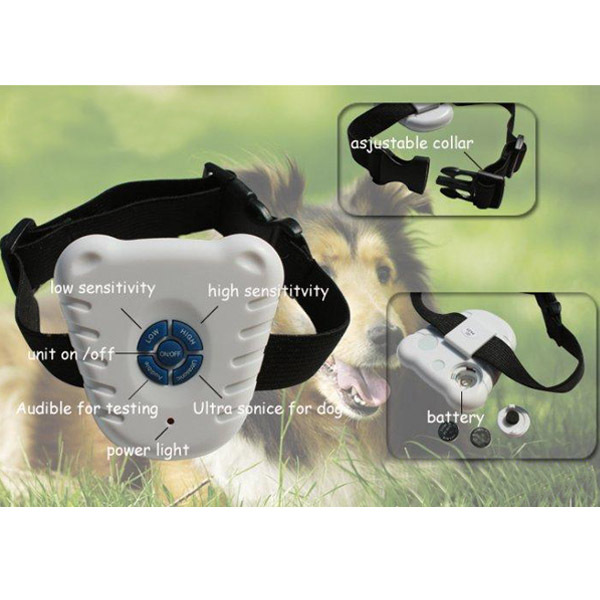 The Ultrasonic Anti Bark Band is an advanced apparaaat designed to help train your dog to stop excessive barking. Use the on / off button. 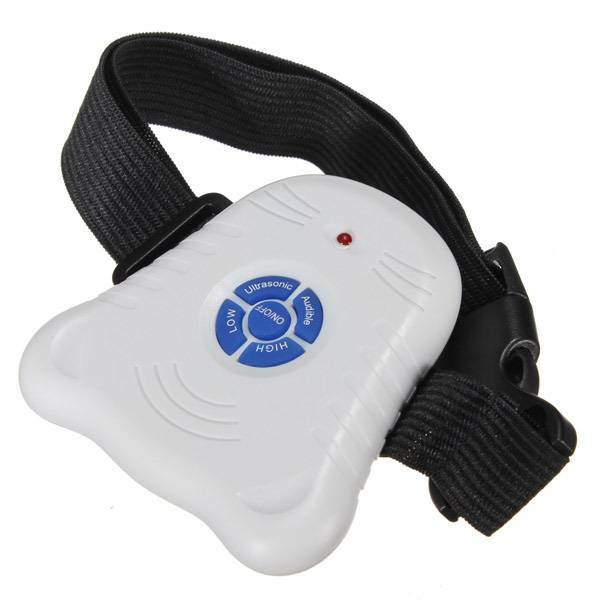 Button High: high sensitivity, bark collar is already responding to barking softly. Button Low: Low sensitivity, bark collar only reacts to aggressive barking. Audible: The tone is audible to everyone. Use this setting when testing. Ultrasonic: The recommended setting for use. 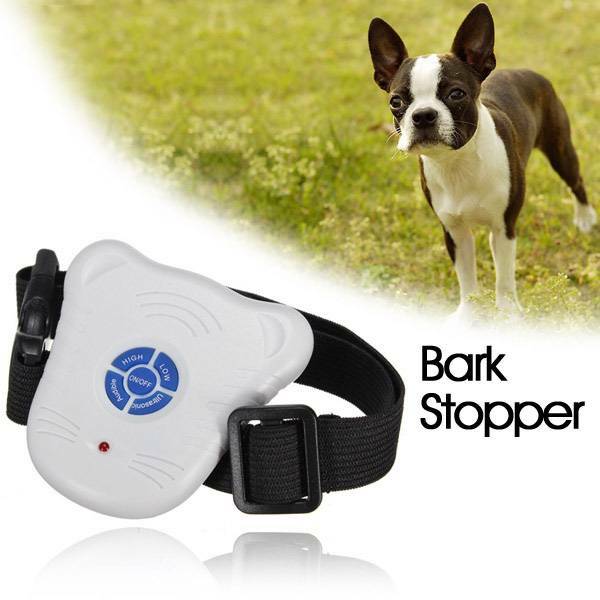 The bark makes ultrasonic sound, which can only hear the dog.